The Summer Olympics is a wonderful way to enjoy August. I think I shed more tears every four years during these two weeks than I do all total throughout the year, but the tears are tears of inspiration, amazement and a reminder that so much of what is thought to be impossible (because accepting this false truth is easier) is actually absolutely possible. There are many beautiful, empowering lessons and I find that each of us tends to gravitate toward the stories that we need to learn depending upon where we are in our lives every four (or two) years. 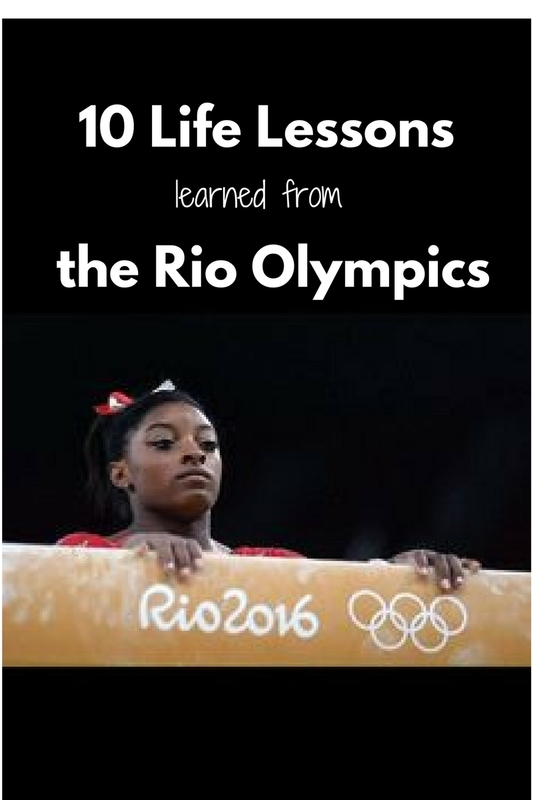 So today, on the penultimate day of the 31st Olympiad, I have gathered together 10 lessons offering a variety of different life lessons that I hope will offer the life inspiration you need in your life at this very moment. The good news is, in each of these lessons, whatever you seek, it is possible. I hope you enjoy reading. Great Britain’s distance runner and 2012 Olympic gold medalist in the 10K and 5k, Mo Farah took a tumble during the 10K event during the first week, but he was up as quick as he fell down. And he left no doubt that he was the best at the 10K race when he crossed the finish line first. Funny enough, the fall occurred without malice which is most often what happens in life. We simply are presented with something we have to deal with, nobody has tried to stop us, but we must respond and not add to the problem, but rather minimize it. Falling doesn’t mean failing; in fact, it can be the key to success as it reveals the true champion you possess within yourself. The Wall Street Journal reported this morning that the average age of Olympians this year has risen from 25 years in 1988 to 27 years today. And the “elders” are having great success along the way. Kristin Armstrong in women’s cycling, at the age of 43, won her third consecutive gold medal in the time trial. Kerri Walsh-Jennings, at the age of 38, won her fourth medal in her fourth Olympic games (three golds and one bronze). Sailor Santiago Lange from Argentina, at the age of 54, won a gold this year in his sixth Olympics, and this is just a sampling. Even the 22-year-old Aly Raisman, 31-year-old Michael Phelps and 29-year-old Usain Bolt, who are considered “old” for their respective sports, had a rather decent showing at these Rio games. With smarter training and more funding available allowing athletes to turn their training and competition into a career, men and women are able to continue their pursuit in the sport they are passionate about without having to let go and step back into traditional jobs. What we once thought was impossible, is possible when barriers are removed and science and understanding improves. For the first time, the Olympics’ Refugee Team was represented at the Olympics in Rio. Ten athletes who have survived unimaginable conditions were able to swim, run, and kick along with more than 11,000 other Olympic athletes. Something that was most likely not even a thought in their mind as they were simply striving to survive. And so it isn’t a place on the podium that is seen as a success, but merely walking in the Parade of Nations during the Opening Ceremonies. (Learn more about each of the athletes here.) The key is to understand that we must define success for ourselves. Only we know from where we’ve risen, only we know when we’ve given it our all, only we know if we are capable of more. 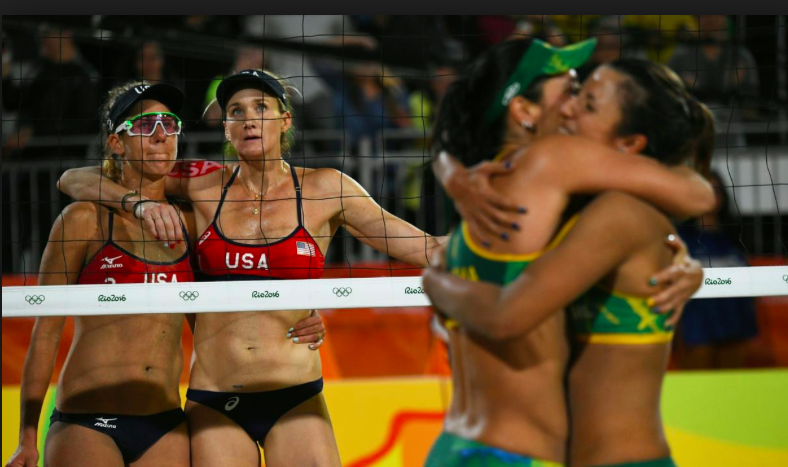 Kerri Walsh-Jennings and her new partner in beach volleyball April Ross were confidently beating opponents along the way toward gold until they met Brazil’s Àgatha Bednarczuk and Bárbara Seixas in the semifinals. For the first time in Kerri’s Olympic career, she lost a match. She openly admitted her passing played a significant role in the loss, and then she came back the next day with her upbeat, sunshine attitude (the inscription on her wedding band from her husband coins her nickname “six feet of sunshine”) and played well with her partner to take the bronze. 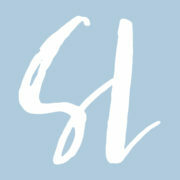 Adversity occurs eventually if we are pursuing anything for an extended period of our lives. If we are challenging ourselves, pushing our limits or doing anything that has never been done before, life will test us. 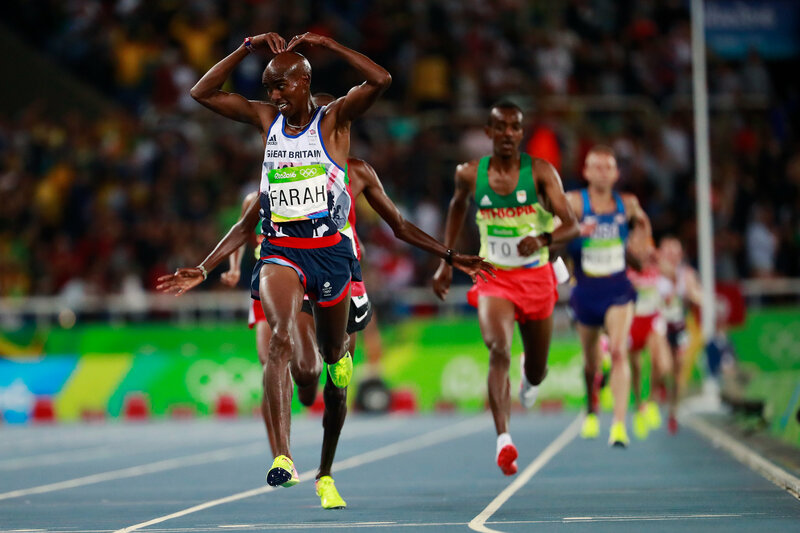 Much like Mo Farah’s fall, the question is when and how are you going to get back up? Kerri rose with determination, with a positive attitude, because she was working with her partner and the energy Kerri brought to the court could either help or hurt their teamwork. She got real by accepting what hadn’t worked and figured out how to make it work. It is the attitude we choose when we are confronted with adversity that predicts what will happen next. No, it may not guarantee a medal, as Kerri and April earned, but the medal will arrive in some form or fashion. Perhaps attracting more positive energy into your life or garnering more respect and genuine appreciation because a champion isn’t someone who always wins or stands atop the podium. No. A champion is determined by how they respond to the fall. A fall that will happen if you are willing to push your boundaries. But that fall will give you an opportunity to attain even higher heights. One thing that caught my attention early on was the incessant pressure-filled statements and inquiries by commentators when they interviewed athletes that were seen as the front-runners. As much as I was put-off by their need to hype for ratings, I was equally overjoyed by the athletes’ response. 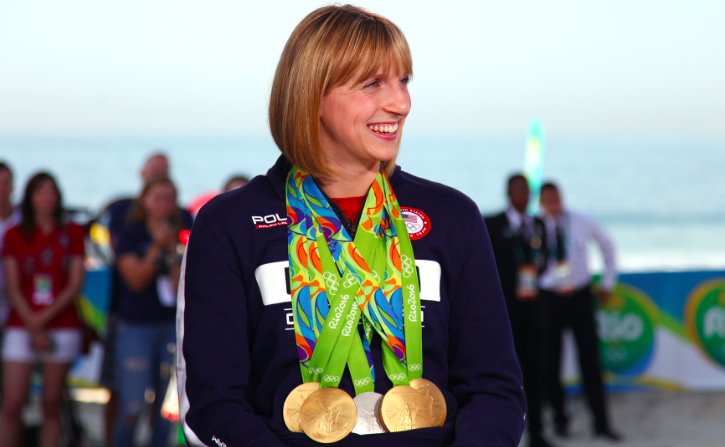 Katie Ledecky (winner of four individual golds and one team silver), immediately said without pause, I’ll just brush the target off my back and do what I do. You see, we can either accept the pressure or expectation others or society place upon us, or we can let it roll off our shoulders and not participate in the drama. It is our choice. 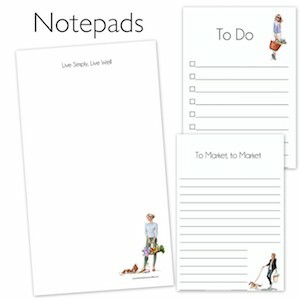 We may not be able to control the outside world, but we can control how we respond to it. 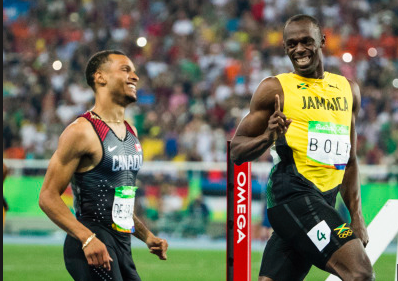 Usain Bolt, the now triple champion in the 100m, 200m and 4x100m relay in three consecutive Olympic games, not only is successful on the track, but it is his connection with his fellow athletes, fans and media that make it clear he is enjoying the journey. Simone Biles coach since childhood, Aimee Boorman, structures their training so that Simone not only improves but enjoys the journey. Yes, being an athlete in training and preparation for the highest competition can involve stress, but it shouldn’t involve unnecessary stress. Compared to former ways of thinking, when it came to coaching, the mentor must be aggressive, tough, sometimes threatening, all for the purpose of achieving gold. But if the journey is miserable, if the journey destroys your spirit, find another approach. It is possible to love the journey if you do what works and let go of what doesn’t. Four women represented Saudi Arabia in Rio. All four women were either educated or live in the United States. Some having dual citizenship took on the additional pressure of having to abide by Saudi Arabian traditional dress codes as well as defying gender expectations to do what they loved. Unable to legally drive, prevented by policies to exercise in nearly all gyms and from getting a physical education in most schools, the obstacles in Saudi Arabia were immense, but simply observing and knowing their journey is a reminder of the rights won and yet to be won in our own countries, rights that shouldn’t be forgotten and never taken for granted. 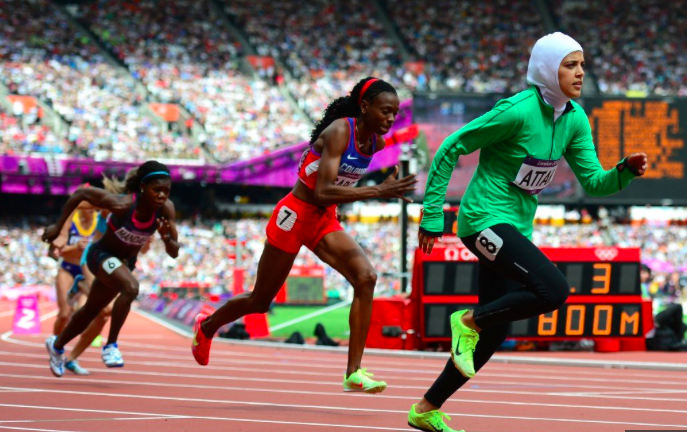 Read more about the Saudi Arabian women and their training for the Olympics here. 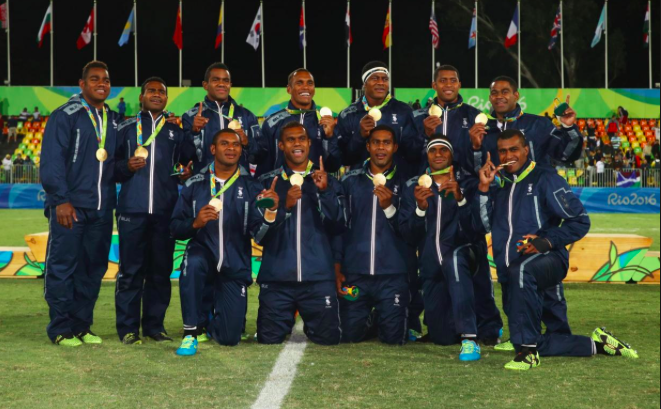 Fijians celebrated their first medal, which happened to be a gold victory over their former colonial power Great Britain with a scouring 43-7 score in men’s rugby-sevens, after participating in the summer Olympics since 1956. Victory, attainment of what we want or work diligently for, may not happen when we want it to, but that doesn’t mean we stop participating or traversing toward our destination. No. We must keep trying if indeed we truly desire what we seek from the core of our being. Rugby is a national pastime in Fiji and actually officially considered the national sport of the country with more than 600 different clubs. 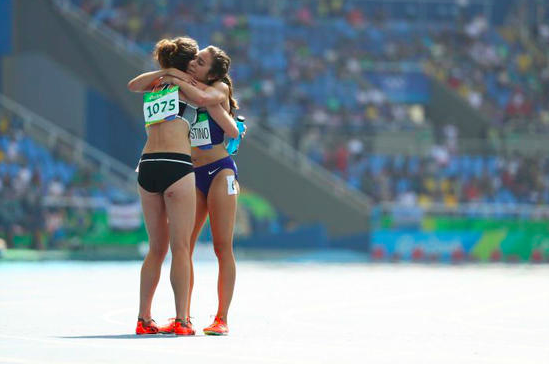 It is their passion, and eventually a medal, that enabled a gold medal to be earned. It happened during the first week of the Olympics, and the athlete herself did not seek the spotlight. Never-the-less, the press persisted, and in response the athlete proposed a novel idea: I look forward to a time when this is not a significant achievement. 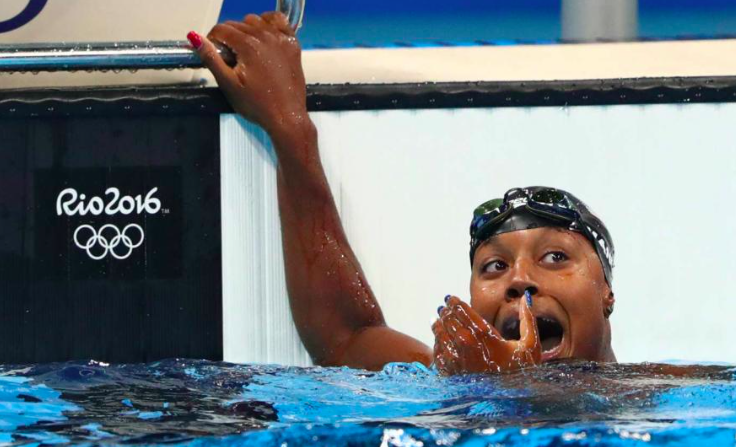 Simone Manuel’s gold medal finish (shared with Canada’s Penny Oleksiak) in the 100m Freestyle earned her the title of the first African-American woman to win gold in an Olympic individual swimming event. Demonstrating that while stereotypes can attempt to stiffle what is possible, they cannot stop the truth from occurring. Stereotypes are based on something that may have happened, but because they are void of context (read more about the history in the United States regarding swimming pools and black communities here), they are only upheld because they benefit those who have imposed the stereotype to appear falsely as a truth. The limitations that are propped up by stereotypes are false, and often the one who breaks the barrier, whether they want it or not, will earn great praise. But that praise is warranted because it isn’t easy to go against what’s “comfortable” to society. However, it ultimately is better for society. I have thoroughly enjoyed the break from the strife in the political world here in the United States to indulge each night by watching the Olympics. Amazingly, it is often what isn’t expected or planned that can have a more powerful influence than what is carefully structured. The United Nations is an admirable entity in our world geo-politics, but there were so many moments during the Olympics (as there are each four years) that remind us we are more similar than we are different without the specific purpose of revealing this truth. We are all human, after all. And when we see athletes from different countries competing against each other in the same event still innately stick out a hand to help or look over their shoulder in concern, or the defeated offer a hand or hug of congratulations to the victor after a hard-fought match, it is a reminder that we can get along even if we don’t all experience the goal we sought. Because in the end, we all really do want the same goal: to live peacefully, respected by our fellow countrymen and global neighbors. 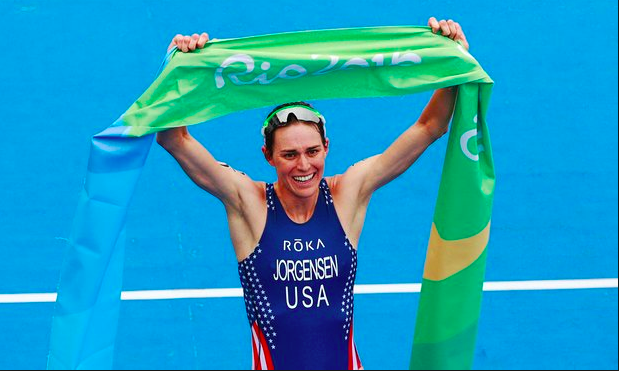 As I was finishing up the list of lessons, I was watching the women’s Triathlon and Gwen Jorgensen. 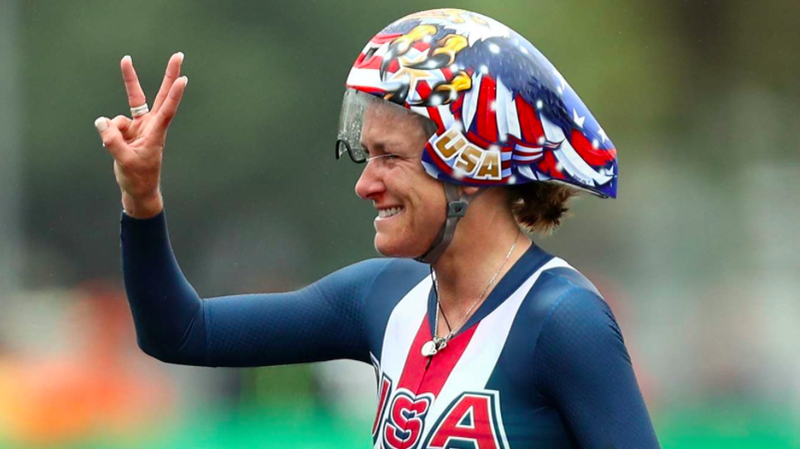 And as she crossed the finish line with a commanding lead to earn her first gold medal at her second Olympics (she earned 38th in London due in part to a flat tire near Hyde Park), tears immediately filled her eyes. We cannot know what was going through her mind, we cannot know how it has felt to train as she does for this grueling event, an event she has been exceedingly successful at with each competition, but we do know the world of being a tri-athlete was not something she sought, but rather something that sought her. An eye for talent in the world of this new event to the Olympics (2000 was its first year), reached out to Jorgensen noticing that she had the talent, the skill and therefore, the ability to have great success if she wanted it. As we know now, she wanted it. Sometimes we don’t know what we’re capable of because we have either have never been exposed to something or have never recognized our gifts as extraordinary, merely something we’ve always been able to do easily (not realizing that such abilities are difficult for most people). It takes life to speak to us, and it is then our job to listen. Life can speak to us in a myriad of ways, but it is always speaking. Quiet yourself, turn your ear or your life just so, and you too will hear what it is trying to reveal to you. Tomorrow wraps up the 31st Olympiad in Rio de Janeiro, the first Olympics held in South America. If you tune in to the Closing Ceremonies, I will be watching with you. Enjoy, and may we carry the Olympic spirit beyond these games. 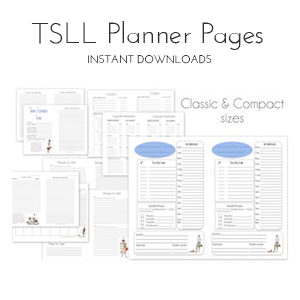 So many great lessons, beautifully articulated. Thank you for a very inspiring post, Shannon! Shannon, this was a beautiful post. Yes we will be sharing the joy of the closing ceremonies tomorrow.